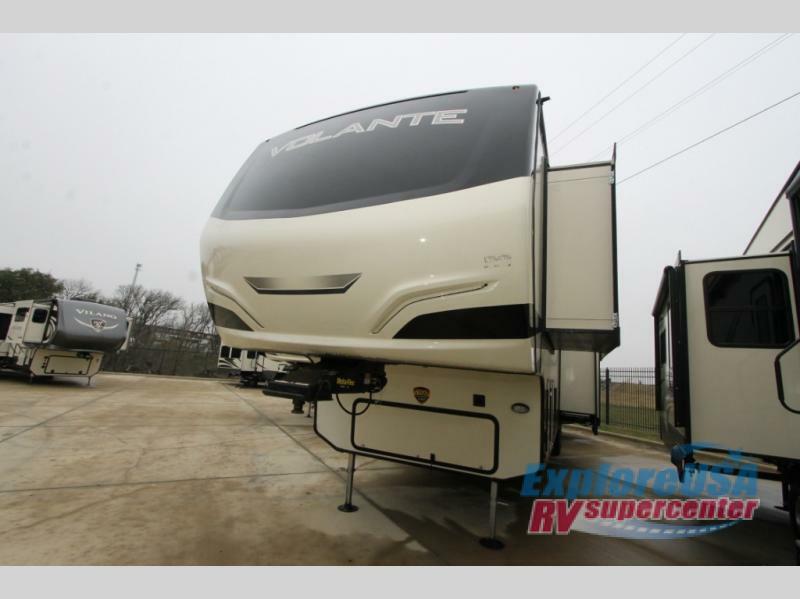 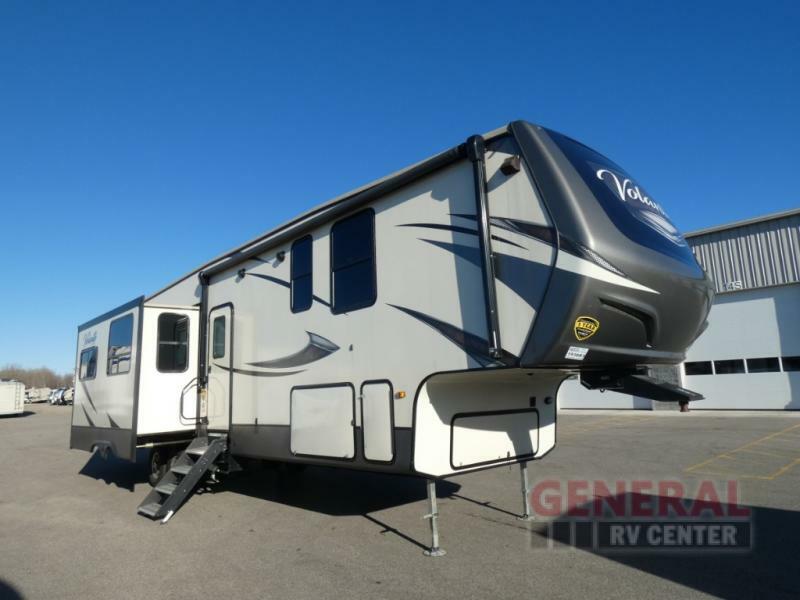 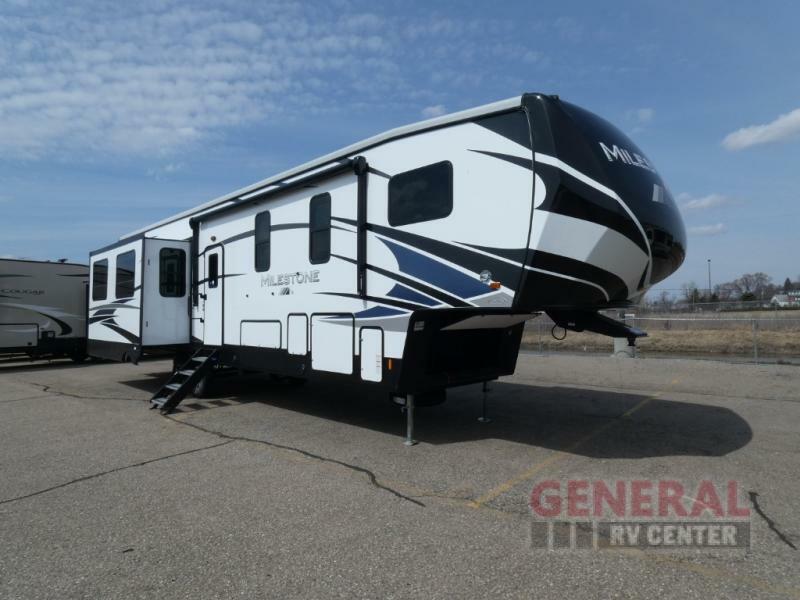 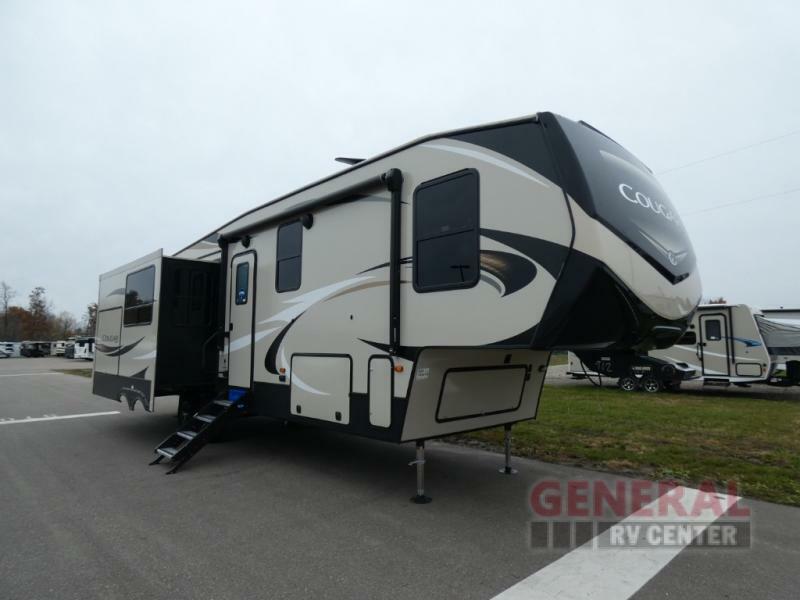 CrossRoads RV Volante fifth wheel 3861BL highlights: Loft Master Suite Five Slides Full and Half Bath Kitchen Island Theater Seating Take a trip in fabulous luxury with this Volante fifth wheel! 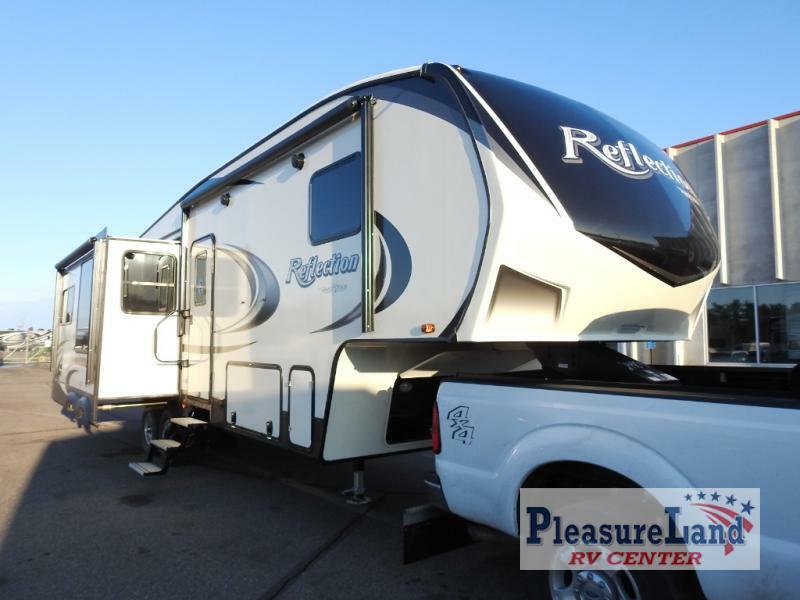 From the private master suite with its queen-size slide-out bed and full-wall wardrobe to the rear living area with its 72" tri-fold sofa, 68" theater seating, and fireplace, you will enjoy comfortable and accommodating features all throughout this unit thanks to the five slides that have been included. 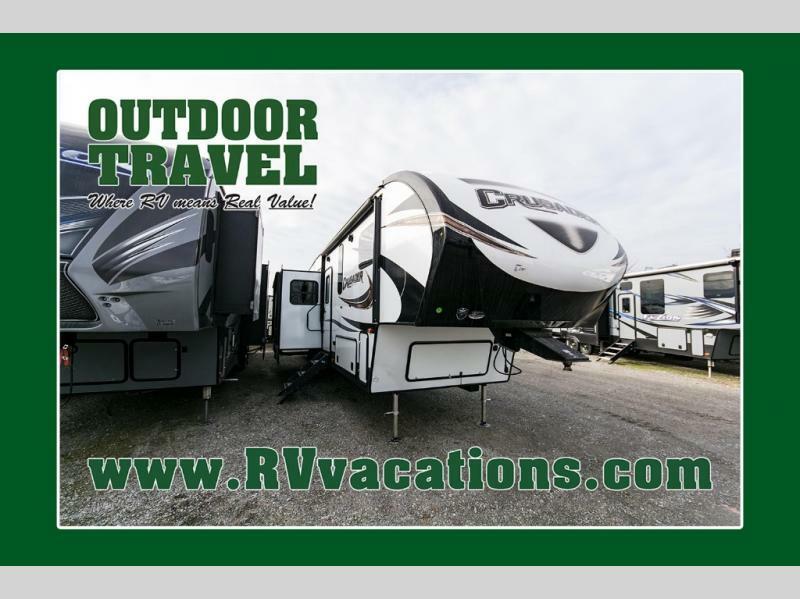 As you prepare dinner on the island in the kitchen, your guests can sit down and chat with you at the free-standing table with chairs, and if they are too hungry to wait for dinner, they can quickly grab a snack from the large pantry to tide themselves over. 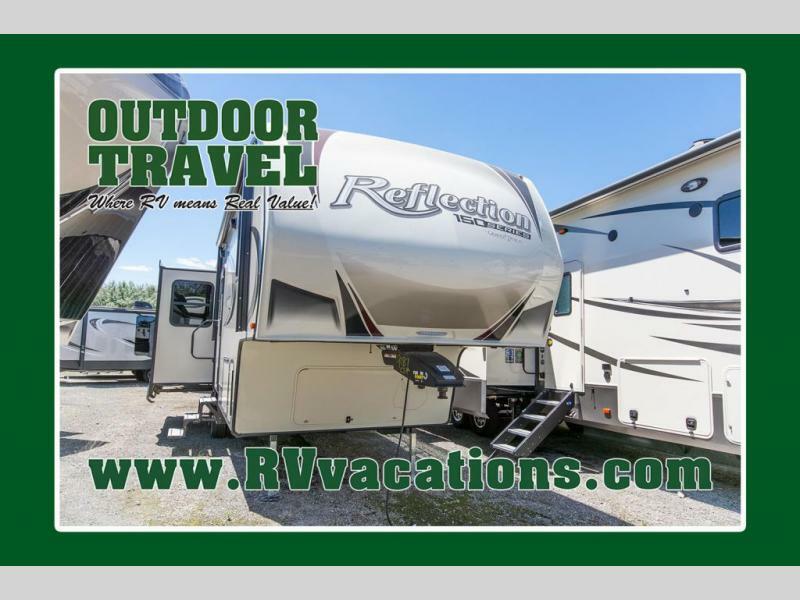 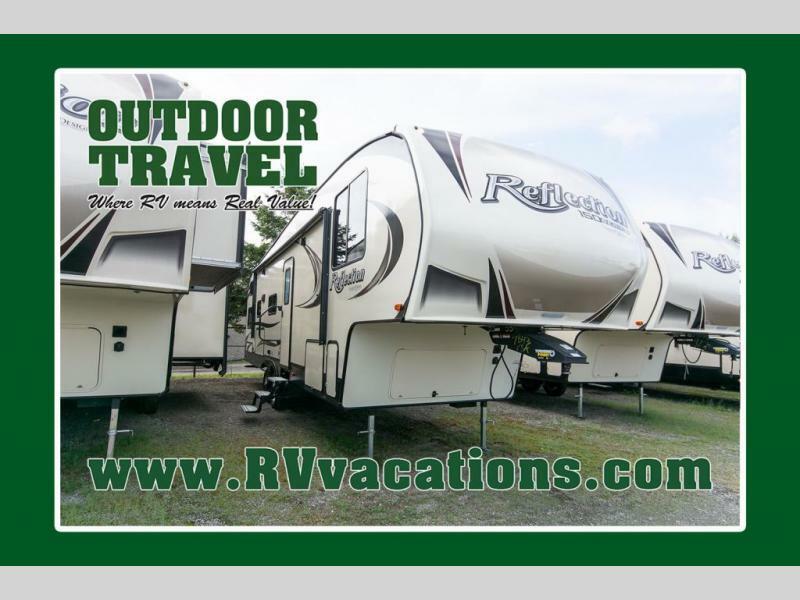 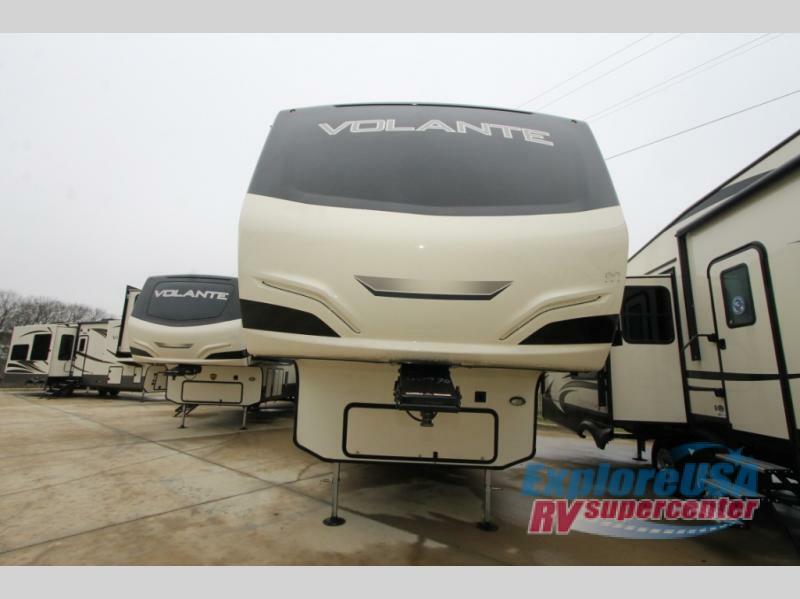 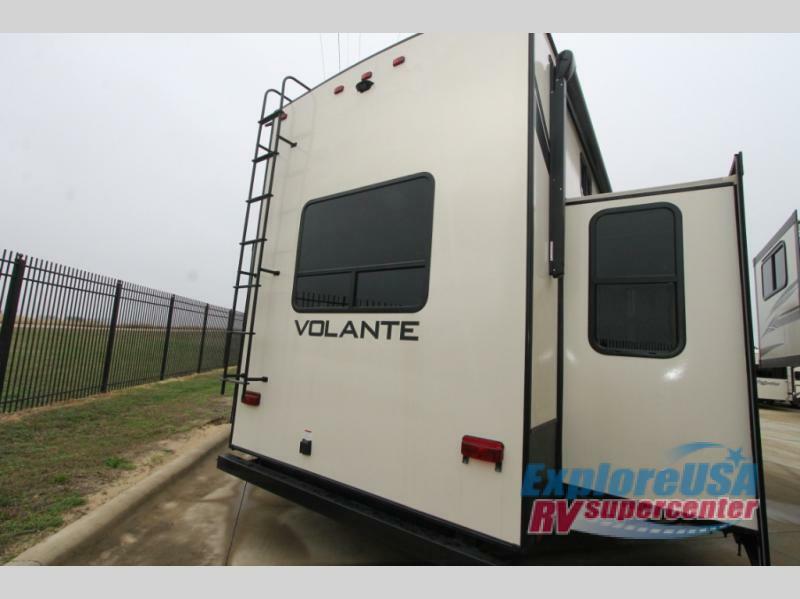 The CrossRoads RV Volante fifth wheels and travel trailers are anything but ordinary! 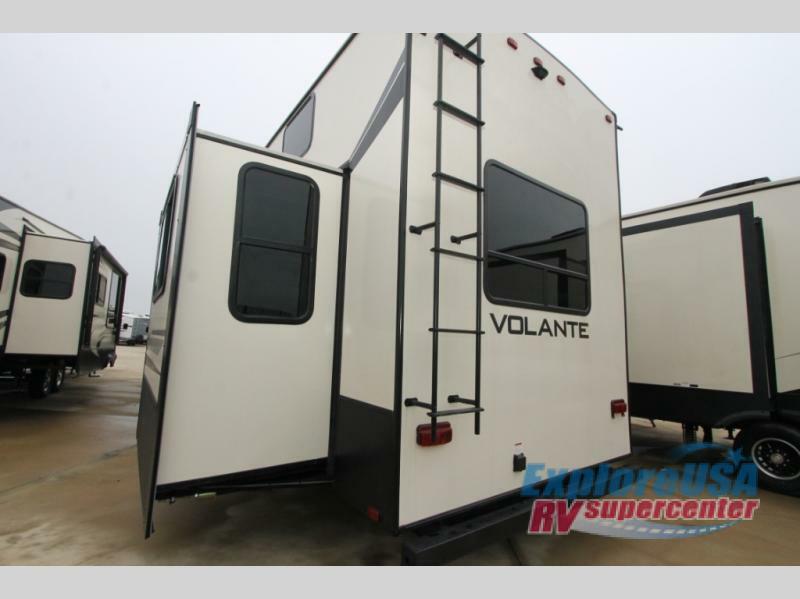 From the residential wood blinds in the living room and interior LED lighting, to the premium residential furniture throughout, you will be impressed with the Volante from the moment you step foot inside. 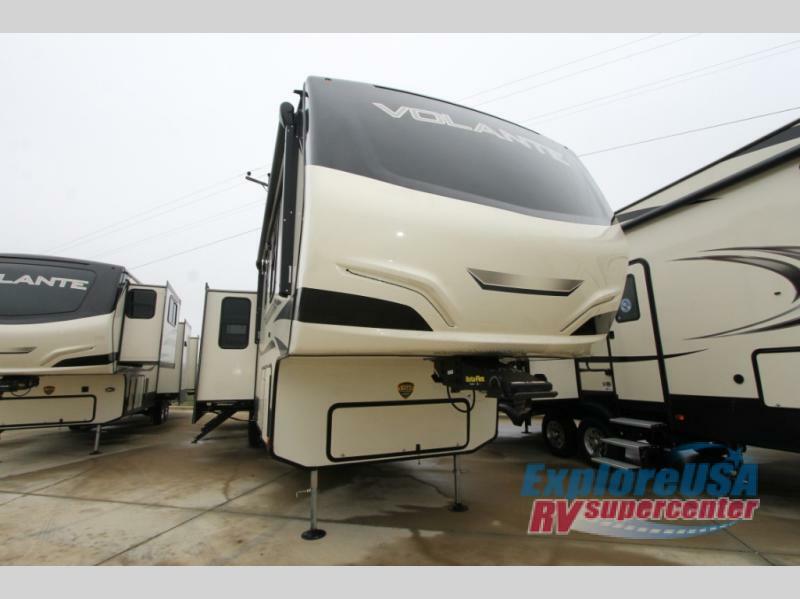 You will also be thoroughly impressed with the Volante's excellent exterior features, like the fully enclosed and heated underbelly, tinted safety glass windows, and outside shower with hot and cold water that will make it easy to clean up from your fun adventures before heading inside.